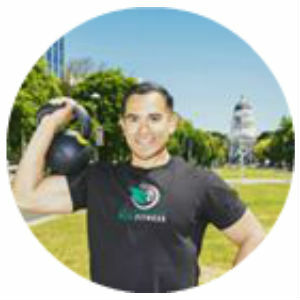 Sacramento EcoFit owner Jose Avina reveals the keys to successfully developing the fitness studio of the future. Interview by Josh Leve, AFS Founder & CEO. I want more info on Energy Producing Fitness Equipment! Jose Avina is an advocate for creating programs that help improve the environment. For years he looked for a way to get his community excited about two things. First, improving their personal health by becoming physically active. Second, becoming actively engaged in energy sustainability and Eco friendly programs. Now his fitness studio, Sacramento Eco Fit brings these two initiative ideas together. At Sacramento Eco Fit, Jose and his team have the tools to harness the human kinetic energy generated during each workout. Giving them the potential to power their own building and the surrounding business as well. For the first time in California history they will have a gym facility that is not only good for the health of the local community but more importantly for our planet! More information about SportsArt can be found here! Learn about their history, place in the fitness studio community and more about developing products that are instrumental to rebuilding and sustaining lives..